Today I'm finally sharing one of my favorite parts of our home. This is something that I knew I wanted to do even months before we moved in, and every time I look at it I'm so glad that I did. First I should explain that one of my greatest passions is writing. It's my dream to on day be able to support my family with that writing. That means that one of the things I'm most often inspired by is the words of others, and I like to surround myself with these words. 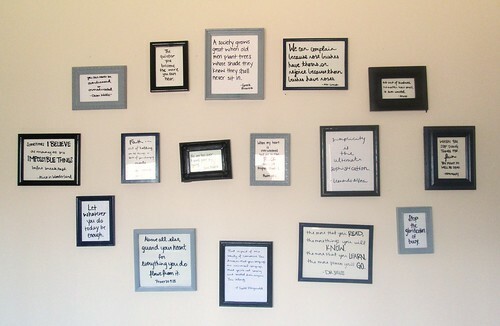 When I learned that we'd have an office I figured there could be no better place to display all my favorite quotes. 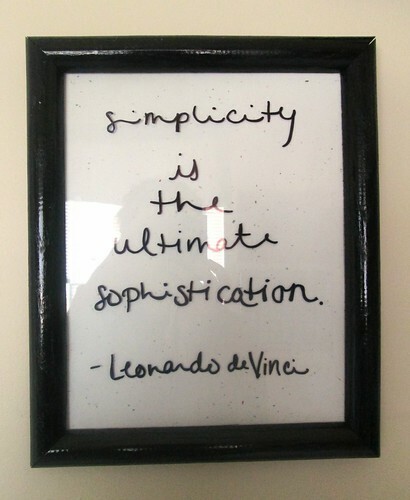 I spent months gathering quotes and scouring consignment shops for picture frames, and here is the result! Here is the most important thing I learned from this project: the extra step of practicing your layout is absolutely, one million percent worth it. I spent almost a half hour trying to align just two frames before I gave up in total despair. It was then, as I sat on the floor holding a hammer and hanging my head, that I remembered the trick of taping paper to the wall to plan each placement. BEST IDEA EVER!! I was able to try out a number of layouts before deciding on the best, and when I decided on one it took my just fifteen minutes to hang the frames. If you're going to undertake any kind of large scale display like this I urge you to take this advice to heart. 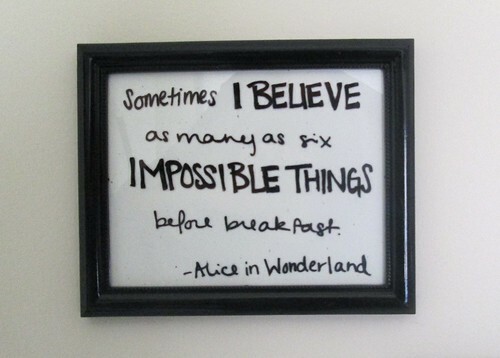 My wall would look like swiss cheese if I hadn't. As you all know I hate anything that matches too much, and this project was no different. I was very intentional about finding frames that were all different sizes, shapes, and even textures. I created unity among them with a more limited color palette--black, blue, and grey. 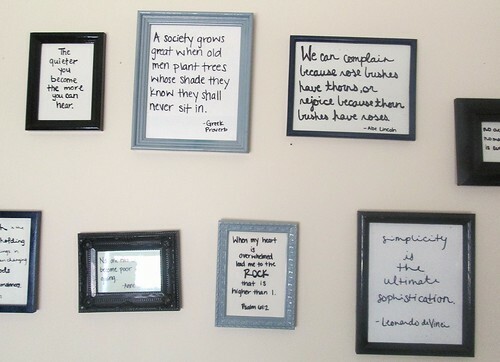 To save myself the unbearable headache of formatting, printing, and cutting each quote to fit each frame I decided to put a piece of neutral colored scrapbook paper in the frames and hand write the quotes directly onto the glass with a Sharpie. This seemed daunting at first, but I really enjoyed being able to tailor the font to the words. Also, it means that I can change out any quote at any time! There's nothing better than idea finally becoming reality. This project took a good amount of planning and preparation, but it was absolutely worth it. 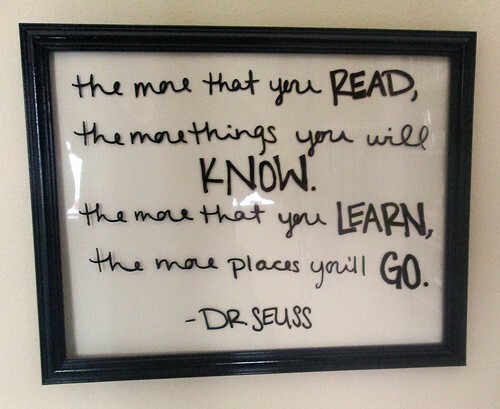 What kinds of words of images inspire you? Would you try a big display wall like this, or have you already? If so, share pictures in the comments below!